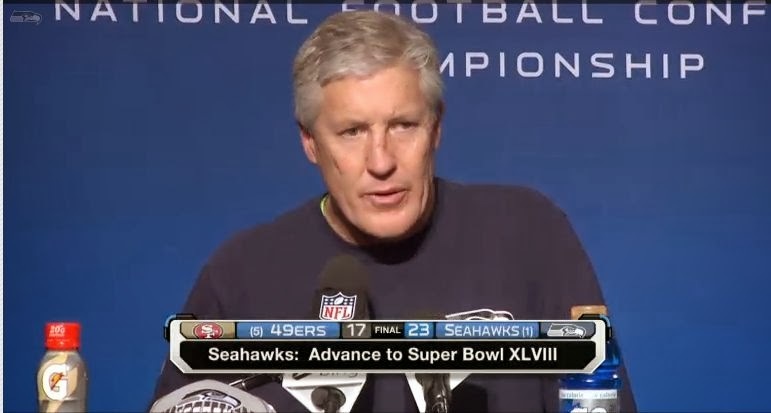 What’s The Reason behind the Victory of The Seahawks and failure of 49ers? new challenge for the 49ers. For the fans never give up your supports to your favorite because you are the one who makes the sinking ship rise on the surface and the vice versa. So carry on with your favorite and enjoy the matches. So I probably never put any bets on the matches because I have experience how hard is it to lose the money and look the failure of your favorite. Now let’s move towards the reason why Seahawks get a day dream victory. The Seattle Seahawks has been never expected to have such an interesting victory over the 49ers. Its just not only the victory but it’s just more than that you can get it by looking at scores. Game was under the control of 49ers nothing was going off; 49ers were leading the game nicely at first half. Nothing seemed disaster. The Seahawks cannot even take the ball through the 49ers but miracle happened and there was a great turn over after the first half what’s that turnover? We can see a great silence on the face of the 49ers fans and that usual because we are just disappointed. Well if we look at the history of The Seahawks then we find quite interesting and it is an superb team but the victory over 49ers is unbelievable. The 49ers seemed to be really effortless after the second half of the match. We just didn’t feel Seahawk won but we felt the 49ers lost it really that was an embarrassing moment for every 49ers fan. 49ers were like stuck after the first half of the game. They were just effortless as if they don’t know how to play that’s the thing going on the mind of the fans of 49ers. They deserve the victory but after the first half everything was swiped away nothing was left to say only there was the combination of feeling going on the mind of the 49ers fans now that feeling need not to be expressed. However, 49ers were not able to tackle the ball, run the ball, throw the ball and there were many significant bad decisions so no there was no score. Well what’s the reason behind such a horrible failure of 49ers. Were the 49ers over confident? Were the 49ers losses their strategy and determination? There may be many reasons behind the unexpected defeat of the 49ers. The Seattle Seahawk showed an extremely extraordinary performance that was really unexpected by the 49ers and the fans of the 49ers. They showed a highly aggressive and strong defense and the touchdown pass of the Number 3 quarterback player Russell Wilson helped to make a great difference in the score against the 49ers. A highly good news for the fans of the Seahawks. In the interview of the coach of the Seahawks there seemed not so surprised and said they are looking up for next so can we expect something more from the Seahawks. Who knows the future? Let’s see guys what’s there next and how many more surprises we get. The Seahawks really made a great effort for the winning points in a 23-17 victory over the San 49ers for the NFC title. Best of luck for the Seattle Sea hawks and Good Luck for the San 49ers.